Get a New Quick Tip on Photo Gear Every Monday! As a photographer of course your gear is important to you. The "Photo Gear Quick Tips" course will introduce you to new gear you might be interested in adding to your camera bag, and also share tips on putting common gear to use in your photography. When you purchase this course, you'll get immediate access to all existing episodes. Then, every Monday a new quick tip will be added, and you'll have immediate access to each new lesson. 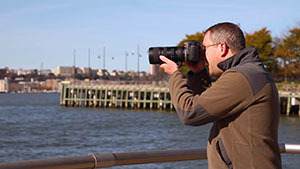 In fact, with a one-time payment you'll have access to all tips published as part of the "Photo Gear Quick Tips" course! You can see the full index of existing lessons below, and new episodes will be added every week. So, sign up today to start getting new tips related to photo gear every week!